The history and tradition of the Mediterranean diet come from the historic eating and social patterns of the regions around southern Italy, Greece, Turkey and Spain. Not only is the Mediterranean diet a tasty way to eat, drink and live, but it’s also a realistic and sustainable way to reduce disease-causing inflammation and lose weight, too (or maintain a healthy weight). The Mediterranean diet has long been one of the healthiest diets known to man. But it’s not just a diet or even a way of eating … it’s really a way of life. 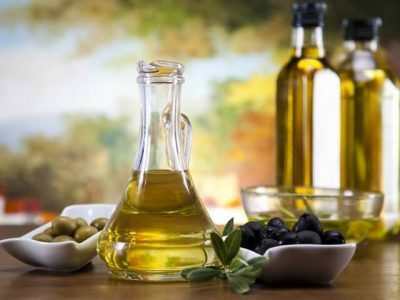 Because for thousands of years people living along the Mediterranean coast have indulged in a high-fiber diet of fruits and vegetables, also including quality fats and proteins and sometimes a glass of locally made wine to complete a meal, too. Meanwhile, this diet has gotten a reputation for disease prevention and even “enjoyable” weight manageable. 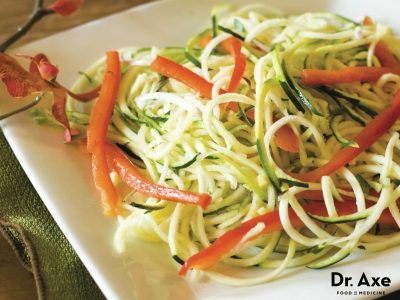 To start following the Mediterranean Diet, check out my recipe guide here. Starting in Italy thousands of years ago and spreading to Greece, Spain and other areas around the Mediterranean, this diet is now successful all over the world for promoting health and longevity. While it’s always existed, even before books and studies were dedicated to it, the diet really began to take hold around the world in the 1990s, when a Harvard University doctor showcased it as a diet useful for improving heart health, losing weight fastand easily and clearing up other health issues. Plant foods, especially fruits and vegetables, are the cornerstone of the Mediterranean diet, which fight cancer in nearly every way — providing antioxidants, protecting DNA from damage, stopping cell mutation, lowering inflammation and delaying tumor growth. Many studies point to the fact that olive oil might also be a natural cancer treatment and decrease the risk of colon and bowel cancers. It might have a protective effect on the development of cancer cells due to lowered inflammation and reduced oxidative stress, plus its tendency to promote balanced blood sugar and a healthier weight.